A recycled box such as a candy box can be transformed into a pretty jewelry box. This is a guide about making a recycled jewelry box. 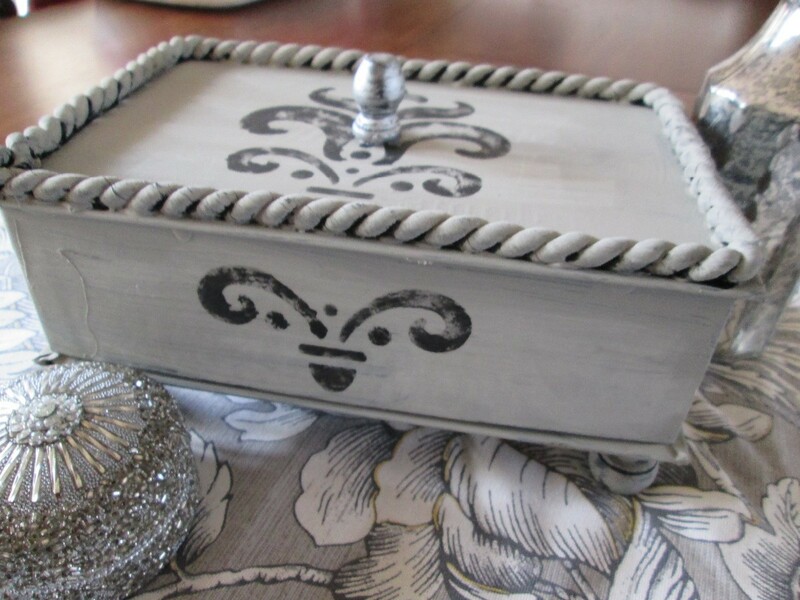 Taking your recycled candy box to the next level, a treasure trinket box! This project is very simple. 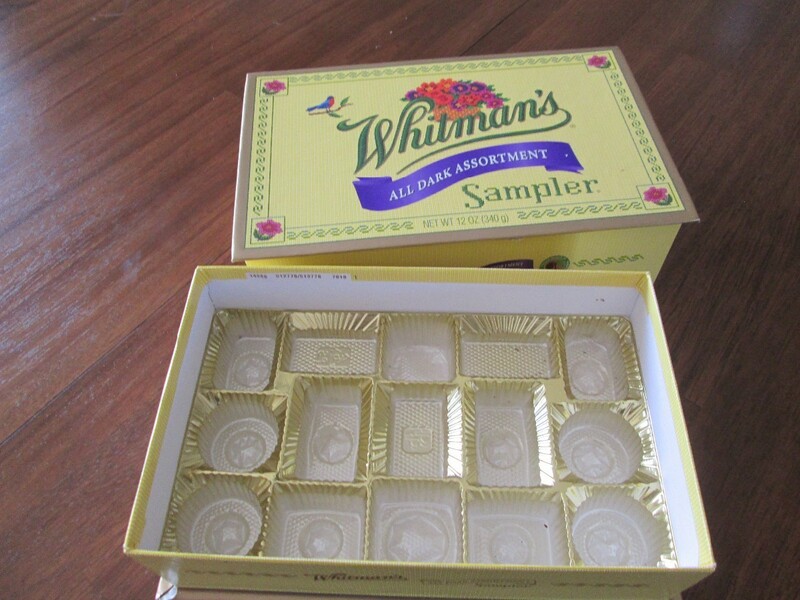 A Whitman's candy box works best. This project is very simple. 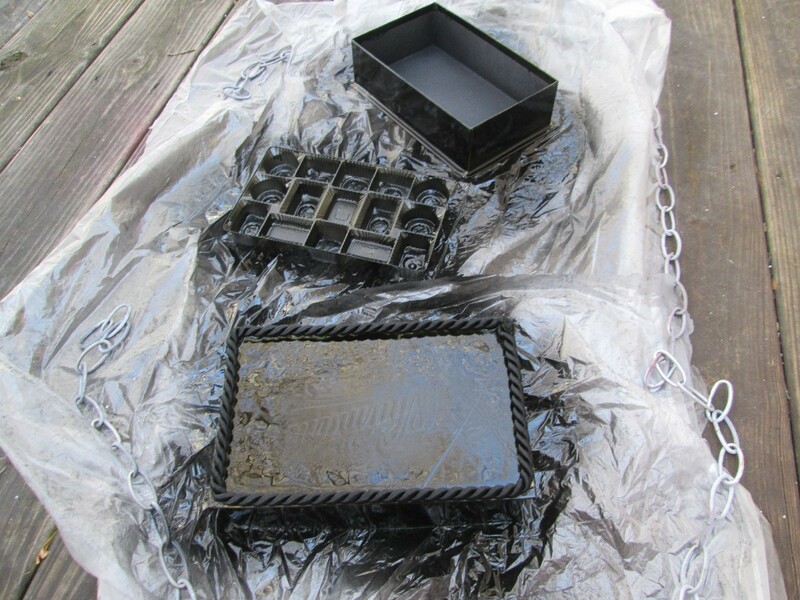 It begins with spray painting the box and candy tray and allow to dry. 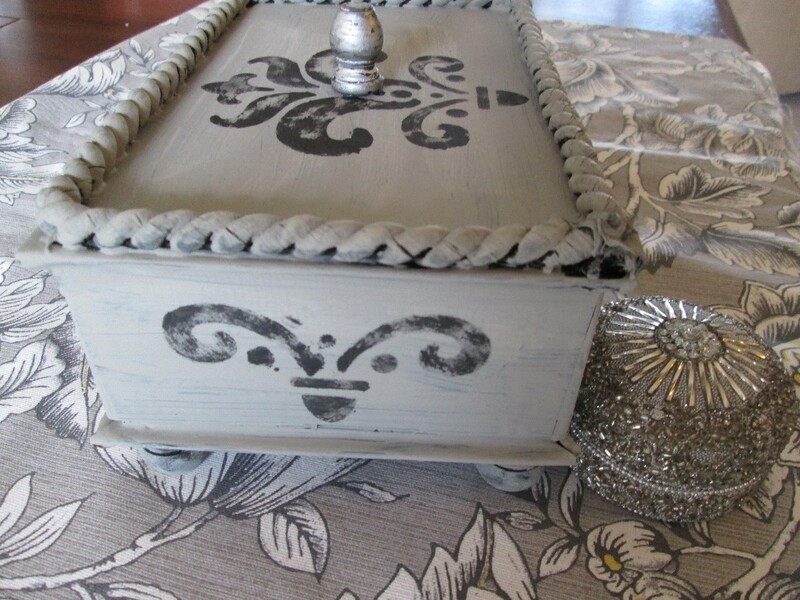 For a more rustic/shabby chic look, I added a thin layer of gray chalk paint. The knobs were added for feet to elevate my box. Another was added for a knob on top. 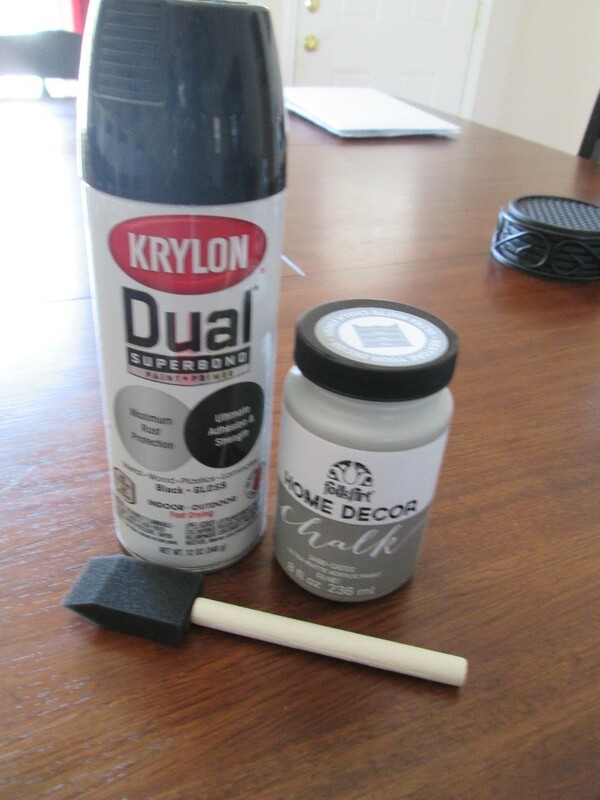 These were also painted black, with chalk paint added after dry. After all the parts were dry and knobs were glued, I added some rope trim for more detail. It was more of an after thought. I painted it to match. Final touch, a stencil. I hope most people will consider the rope trim and stencil, essential rather than optional. They give that little box so much charm. This came out beautiful! No one would guess what it originally was!